We are so proud to announce that Stylist Shannon is soon to be promoted to Senior Stylist! Shannon has been steadily climbing the ranks in Team CB ever since she joined us as a shy retiring Saturday Assistant 6 years ago! Her natural talent, ambition and constant desire to improve and grow her skills have been nothing short of impressive. 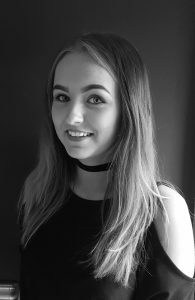 Shannon has taken part in two national competitions, and attended a host of creative cutting and colouring courses over the last year. We are thrilled to see her progress and look forward to seeing her taking on new challenges such as the Wella Master Colour Programme in the months to come. We hope you all join us in giving Shannon a very well deserved congratulations!